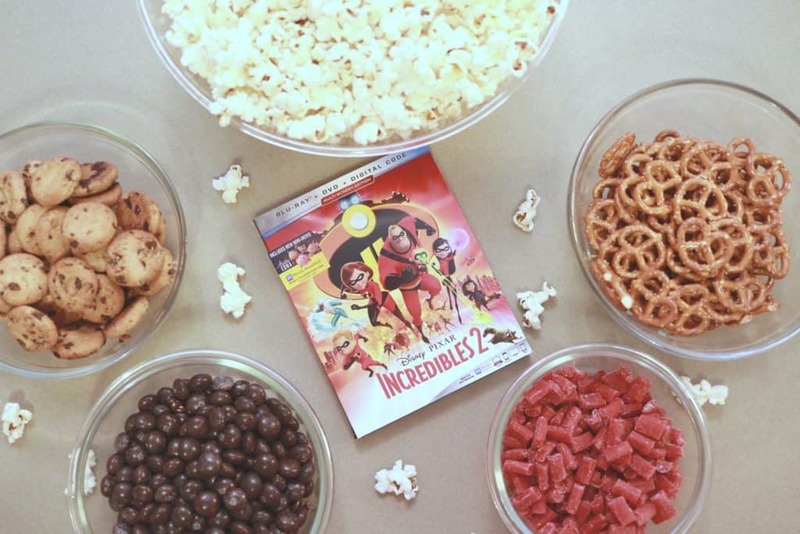 Disney’s Incredibles 2 arrives on Blu-ray and DVD On November 6th and you absolutely need to have an Incredible Family Movie Night with Jack Jacks Num Num Cookie Popcorn! Disclosure: I was provided with a copy of the movie. All opinions are my own. There is nothing that my family loves more than a night in, hanging in our PJ’s watching a movie and eating snacks. With the release of Disney’s Incredibles 2, I wanted to make it extra special since we are huge fans of these movies! 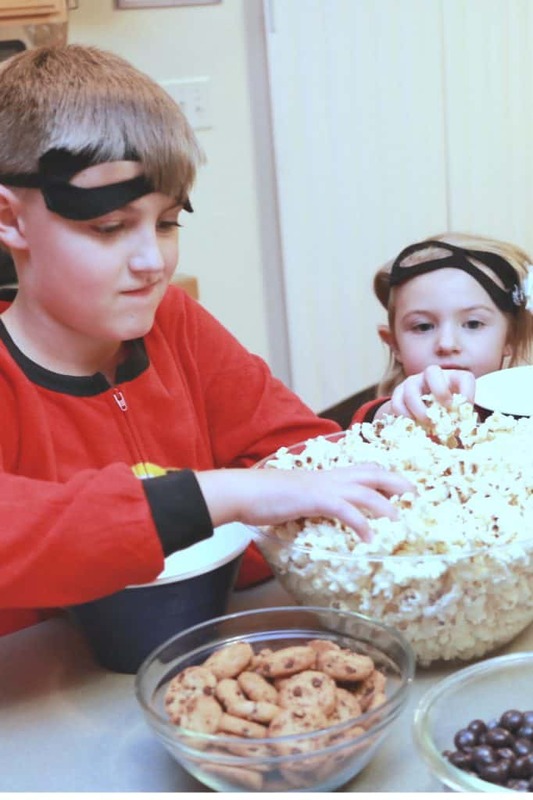 I set up an INCREDIBLE family movie night, complete with a popcorn bar and family PJ’s. We were walking through the store the other week and I spotted Incredibles family pajamas. I snagged a pair for each of us and plotted our family movie night. The kids and I were “super” into rocking these onesies, but the husband was reluctant. 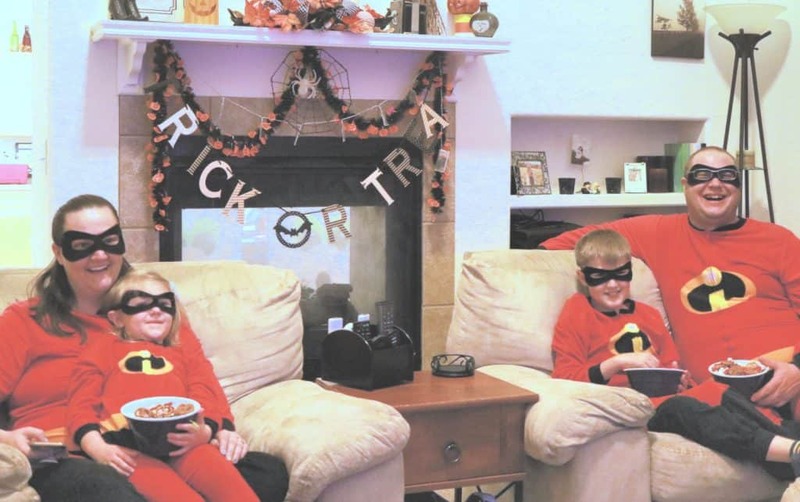 While I set up the popcorn bar, I had everyone change into their Incredibles pajamas. 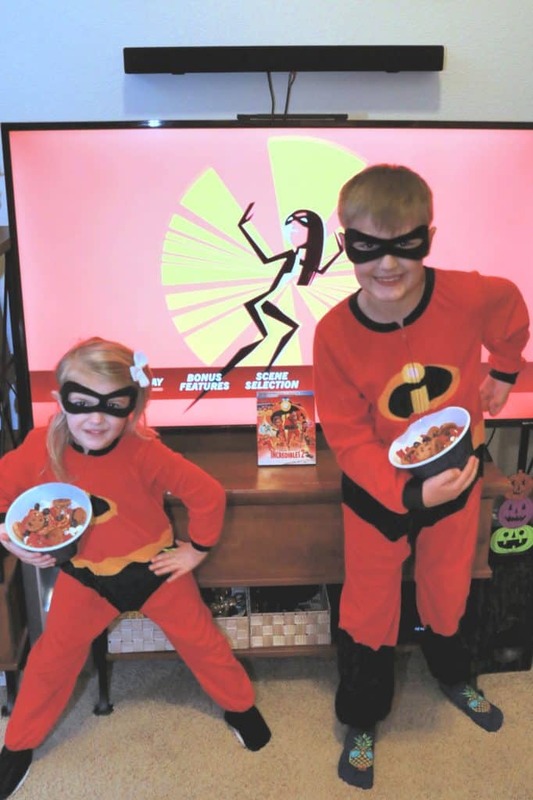 We then made our own mix of Jack Jacks Num Num Cookie Popcorn and sat down to watch our favorite super family fight crime and save the day! 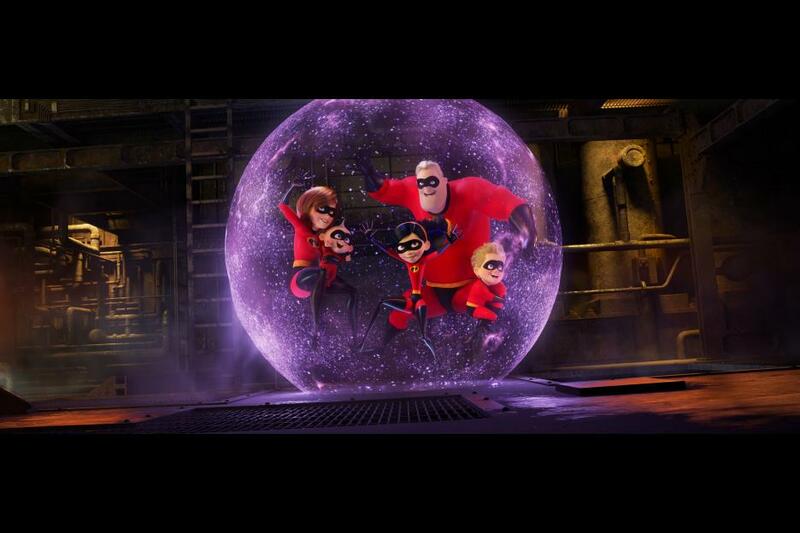 The kids and I saw the Incredibles 2 in the theater and loved it. The husband had not seen it yet and was cracking up during the entire movie. I personally love the storyline of Mr. Incredible being Mr. Mom while Elastigirl is off promoting supers everywhere. My husband started laughing hysterically when the math scene came up. We had literally had the same conversation in our home. The Incredibles 2 is very relatable and represents family dynamics well. 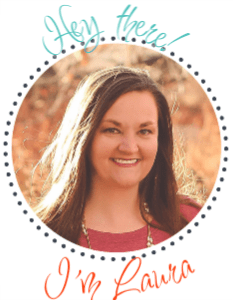 I am all about simple and easy, especially when it comes to enjoying a nice relaxing night at home with the family. I wanted to make a little popcorn bar and knew that Jack Jack was going to be inspiration for this. A sweet and salty mixture is always a good idea and so I decided to pull together the Incredibles colors with some sweet and salty varieties! 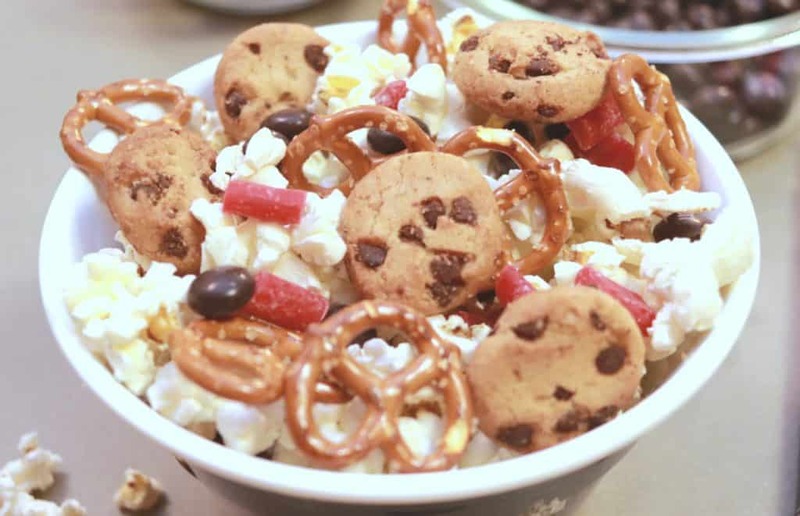 Popcorn, chocolate chip cookies, pretzels, cookies and cream M&M’s and cherry licorice combine in the perfect mix, that definitely hit the spot during our incredible family movie night! Everyone made their own mixture and we all enjoyed a little themed treat. 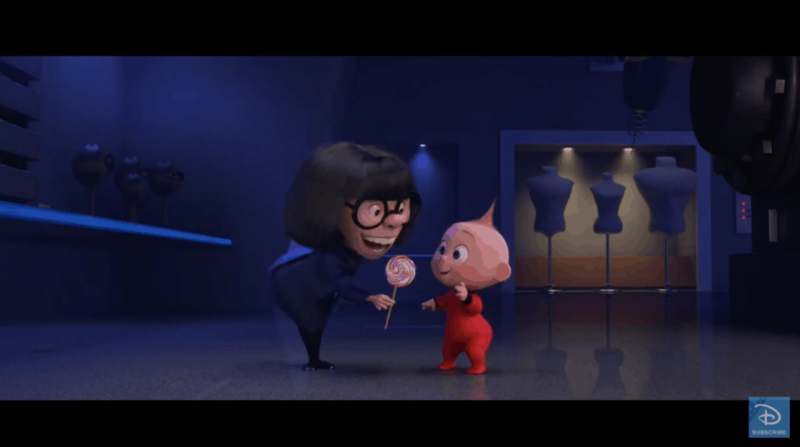 We were lucky to get an advanced copy of the new Incredibles 2 Blu-ray combo pack. This comes with a DVD, Digital Code and of course the Blu-ray. The feature is full of incredible bonus features and even a new short with Auntie Edna that you have to see! We watched the Auntie Edna short after watching the movie last night and completely cracked up. It totally explained how Edna discovered Jack Jacks unique abilities and was absolutely carried out only the way that our beloved Edna Mode would. Make sure that you grab the Blu-ray combo pack now, because you won’t want to miss out on this hysterical short! Disney is known for their “incredible” bonus features. I want to be upfront that we have not made it through all of these because they have so many, but we definitely made sure to watch the Pixar short Bao (LOVED IT), Auntie Edna and the deleted scenes. All of them were awesome, but there are much more to explore. Take a look below. Every parent I have talked to is so excited to get their hands on the Incredibles 2 release. Time is counting down and you can bring home your Supers SOON! The adventure is available digitally on the Movies Anywhere app now and on Blu-ray 4k Ultra HD™, Blu-ray™ DVD and On-Demand on November 6th. Get your copy! 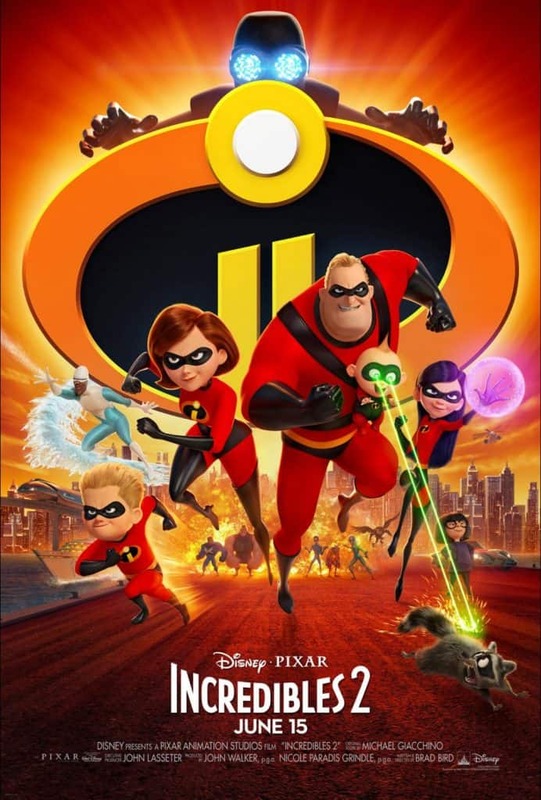 Do you plan on purchasing Incredibles 2? Previous Post: « I LOVE The Nutcracker and the Four Realms and Here is Why!